It doesn't matter what injury you have or how you got it we have a simple 5 step approach to sport injuries, getting you back on your feet. It's been tried and tested on literally thousands of clients and it's very effective. First we'll listen to you. After all no one knows your symptoms better than you. And we want to know everything, does it hurt when you do this? Does it ache if you do that? This information is essential to everything else we do. We've got several tests for every bit of you. This is the clever stuff that helps us to diagnose the root cause the problem. Because we want you to fully understand what's wrong. Simply, why bits hurt, why they're not working quite as they should and what we are going to do about it. Using all the skills and treatments at our disposal to deal with the areas causing your problem. We might use massage, manipulations, stretching, acupuncture or electrotherapy. Basically anything that we feel would be appropriate to get you moving better with less pain. Lastly, by no means least, we'll start your rehabilitation. A tailored plan of exercises specific to you and your problem to prevent future problems and get you back to doing what you love, just better. It isn't rocket science. We do the simple things well and we get results. Whether you are recovering from an injury or simply want to be fit to play, we are here for you. 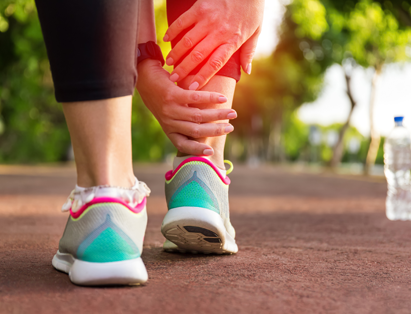 Whether it is physiotherapy or wellness therapy you need, our highly experienced team of Physios will work with you in order to provide expert assessments and treatments. We help you to prevent injury in the future, by utilizing the best tools available in our respective fields. Each individual therapist at evolve wellness embodies the team spirit of sport, bringing a unique set of skills and experiences that make us a premier provider of physiotherapy and wellness therapy services. That being said, our clients are the most important members of our team. Our aim is to work hand in hand with you to provide a personalized, client-centred approach that will help you achieve your goals. We are devoted to your health and to Keeping you fit to play!